Trade shows have become a popular source of savings for many organizations that decide not to attend because the cost-per-lead and return-on-investment can be unpredictable, vary widely, and often disappoint. But that doesn’t have to be the case. Incorporating contemporary marketing practices in your trade show strategy can allow you to track ROI and increase conversions. Here are several key trade show marketing ideas that improve ROI. Develop a Multichannel Marketing Strategy. This strategy has become popular with many organizations because it gives your customers a choice regarding how they will interact with your organization. Your customers want to research solutions on their own (digitally). But that means they get over halfway (57%) through the purchase decision before they see your content. Reach your customers sooner in their journey by allowing them to choose when to interact with your business and having the answers to the challenges that they want to solve. Don’t let your attendance at the trade show stop you from posting to social when it is likely a time for high traffic from inquiring prospects. Use Geo-targeting. 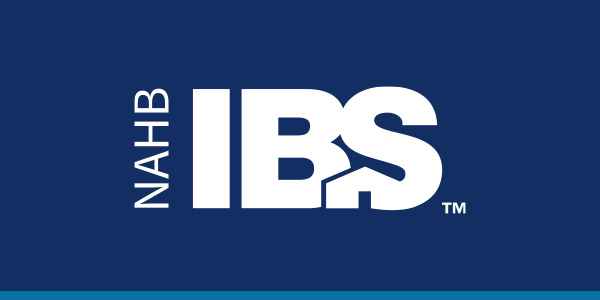 Given the 60,000+ attendees at this year’s 75th anniversary show (IBS 2019), it will be difficult to reach every prospective customer. So use geo-targeting to get even closer to your target prospects by sharing content specific to a chosen set of demographics within your chosen location. You have many options when it comes to geo-targeting partners. We suggest utilizing your CRM platform to create custom show landing pages. Commit to a Social Media Strategy. At first glance it can seem very daunting and time consuming to keep consistent content published on your social channels, but it really shouldn’t be. We suggest picking 2-3 channels for your organization to start the journey of committing to a stronger social media presence. Stay relevant at the show with company hashtags to track the increase in digital traffic. Take the time to browse social media during and after the show to be part of the conversation and increase your visibility with your prospects. If you are releasing a new product at this year’s show, don’t miss the opportunity to create your own unique hashtag so see what customers are saying about your new product! Utilize a Customer Relationship Management (CRM) System. Ever wonder why you didn’t get a callback after giving out print materials to a genuinely interested prospect at your booth? Chances are they lost your printed sales material in all the other clutter they picked up at the show. It’s so much more important to start building a relationship with a prospect at the show than to hand off lengthy sales materials at the show. A much more effective strategy is to take down their contact and upload to your CRM system. While a multichannel marketing strategy, customized geo-targeting, and a strong social media presence is doing the work for you, don’t forget to upload your new connections to your CRM system. The faster you’re able to upload your new leads, the sooner you can start nurturing your new prospects. You shouldn’t wait for the show to end to start a conversation with your new leads. Increase your conversation rates and start nurturing early with a quick “thank you” email sent to your prospect. A same-day note will have higher impact than one sent when they return to the office. With your new leads queued up in your CRM, if the customer comes back to your site, you will know. Meet our team at IBS this year. You can click here to schedule time during the show for an introduction or to grab a cup of coffee. Interested in learning about some of the topics above but won't be at IBS this year? Contact us to start a conversation.